Isaac Hempstead Wright is an English actor. He is best known for his role as Bran Stark on the HBO series, Game of Thrones. He earned a Young Artist Award nomination as Best Young Supporting Actor in a TV Series. He has over 641k followers on his Instagram. Game of Thrones is in its final season. The final season of Game of Thrones premiered on HBO on 14 April 2019. The 20-years old Isaac Hempstead plays the role as Bran Stark, the second son and fourth child of Lord Ned Stark, played by Sean Bean. He appeared on the first, second, third, and fourth season of the series. He was only 10-years old when he joined the cast of GOT. He was not included on its 5th season. He returned to the series in its sixth season with several visions of the past later becoming the Three-Eyed Raven. Bran using his vision finds out that his brother, John Snow is the real son of Rhaegar Targaryen with Lyanna Stark and his real name is Aegon Targaryen. Ned raises Aegon as Jon Snow at Lyanna's dying request. After Bran finds out the real identity of Jon Snow, he declares that Jon is the true heir to the Iron Throne. It is now for us to wait and watch how Bran Stark's vision will help to defeat the deads. What is Isaac Hempstead Wright Famous For? - His role as Bran Stark on the HBO series, Game of Thrones. Where was Isaac Hempstead Wright Born? Isaac Hempstead Wright was born on 9 April 1999. His birth name is Isaac William Hempstead. His mother name is Helen Wright but the identity of his father is not available at present. He belongs to White ethnicity. His birth place is in Surrey, England. He holds English nationality. His zodiac sign is Aries. Information about his siblings is not available at present. He studied at Queen Elizabeth Grammer School in Faversham, Kent. He has no interests in acting until he joined a drama club to avoid playing football on Saturday mornings during the cold months of the year. He enrolled at the University of Birmingham to study maths and music. He dropped out early in order to focus on his acting career. He hopes to return to the university and complete his degree once Game of Thrones has ended. He started his acting career working in the commercials. He then studied acting at the Kent Youth Theatre in Canterbury. He made his film debut in 2011 British supernatural drama film, The Awakening. 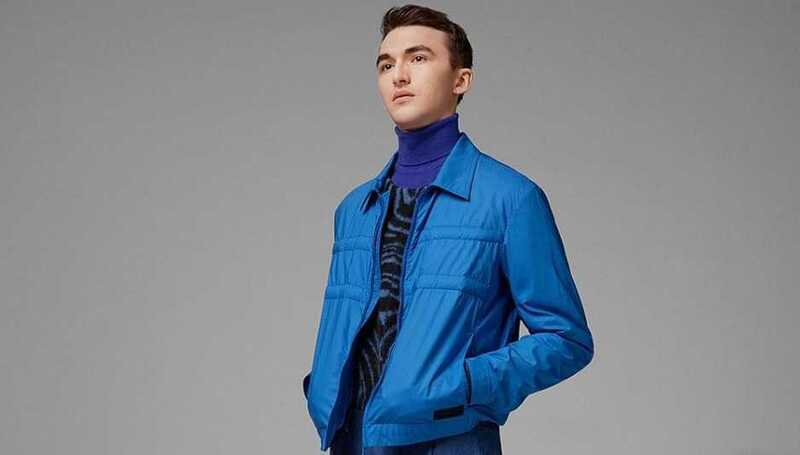 He made his breakthrough in acting career after he was cast Bran Stark in the HBO television series, Game of Thrones. He appeared in the first 4 seasons of Game of Thrones. He did not appear in Season 5 and returned in season 6 to its final season. For his role in Game of Thrones, he was nominated for two Screen Actors Guild Awards as Outstanding Performance by an Ensemble in Drama Series. He appeared in a British-American political thriller drama film, Closed Circuit in 2013. He was awarded TiBS Scifi Awards for Best Young Actor for his role in Game of Thrones in 2013. He voiced Eggs in the American stop-motion animated fantasy comedy film, The Boxtrolls in 2014. He had minor voice roles in television series, Family Guy and Revolting Rhymes. He appeared in the Foals song "Exits" music video. Who is Isaac Hempstead Wright Dating? Isaac Hempstead Wright is reportedly single. He has managed to keep his personal life private. He is very young to pursue a serious relationship. He might be dating someone. No rumors regarding his affairs have surfaced yet. He lives in Faversham, Kent, England, UK. What are Isaac Hempstead Wright's Body Measurements? Isaac Hempstead Wright stands at a height of 1.8 m i.e. 5 feet and 11 inches tall. He has a slim body build. He has a body weight of 141 lbs i.e. 64 kg. He has a slim body build. He has a chest size of 34 inches, biceps size of 11.8 inches, and a waist size of 28 inches. He has dark brown eyes and his hair color is also dark brown. He wears shoes of size 8 (US). 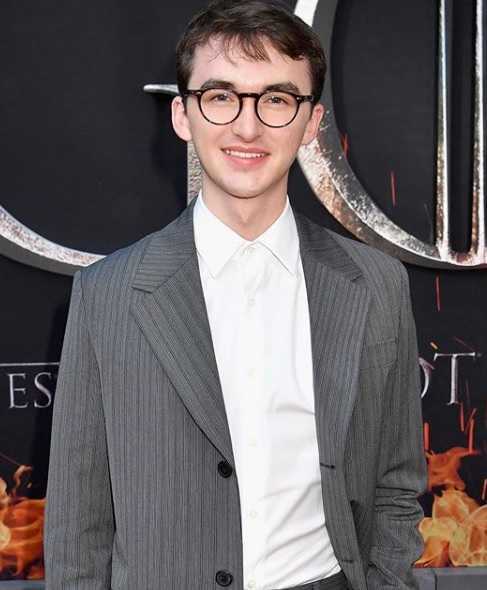 What is Isaac Hempstead Wright's Net Worth? Isaac Hempstead Wright is a young and aspiring actor. He started his acting career in commercials, later appearing in television series and films. Acting is his major source of income. He earns from working in the entertainment industry. As of 2019, his net worth is estimated at $4 million. He has two pet dogs named Ted and Rosie.